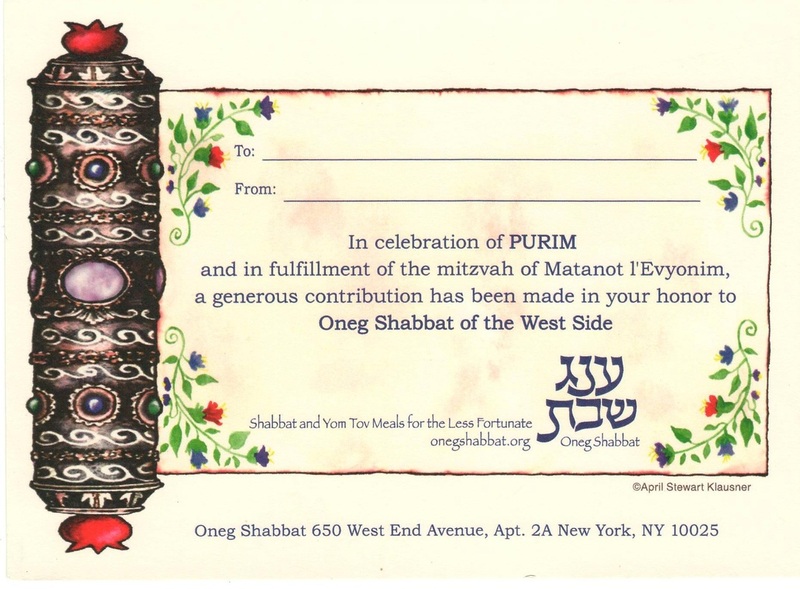 ​ONEG SHABBAT began as a Bat Mitzvah project in 1988 to distribute Shabbat and Holiday food to those in the Upper West Side community unable to provide for themselves. What began as a small humble organization feeding a handful of people, ONEG SHABBAT today feeds over 100 families weekly. Through the help of local markets, meals are prepared and delivered in a manner preserving the dignity and privacy of those served. 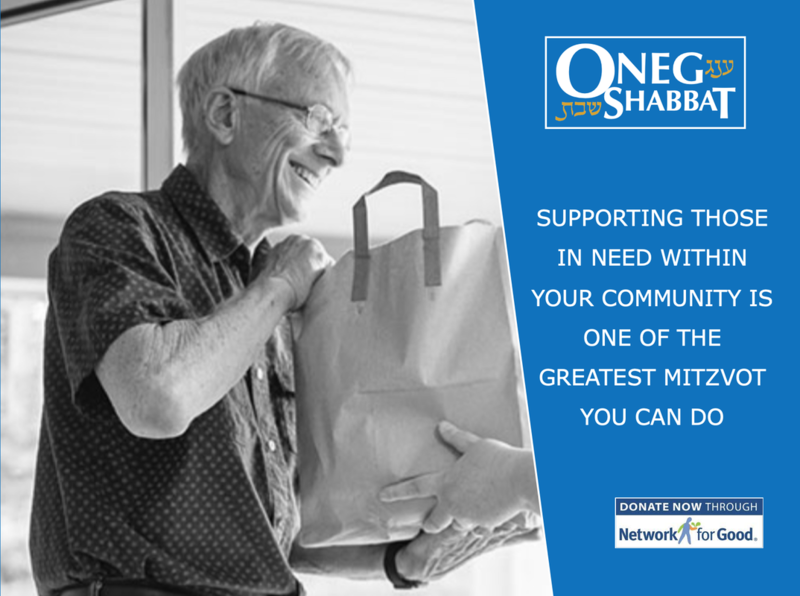 ONEG SHABBAT recipients can choose receiving prepared meals delivered to their door, or a credit to shop in local stores. This ensures the recipients’ anonymity allowing them to be treated respectfully in the same way as all other customers. Our referrals come from many different sources, including Rabbis in the community, Dorot, and sometimes even from our food service and grocery partners. Nobody is ever turned away. ONEG SHABBAT is especially unique because while serving its critical mission the organization operates with virtually zero overhead and no paid employees. All of the money collected goes directly to pay for the meals that our recipients receive. ONEG SHABBAT ‘s major fundraiser is an annual Family Fun Day Carnival going into its 17th year. 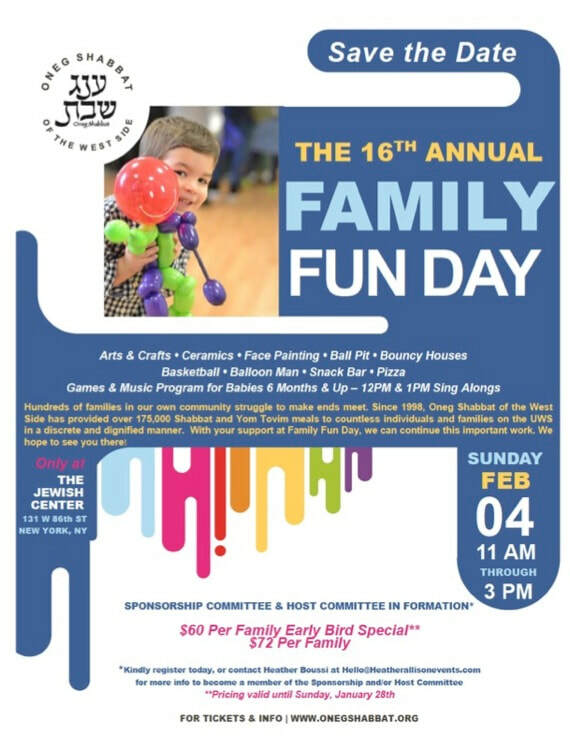 The ONEG SHABBAT Family Fun Day Carnival caters to families with children between the ages of 6 months and 12, with activities that include arts and crafts, a petting zoo, a bouncing castle and bungee run, face painting, and assorted sports, among other activities. The Carnival is staffed by ONEG SHABBAT volunteers and all the money raised goes directly to providing ONEG SHABBAT meals for the needy. 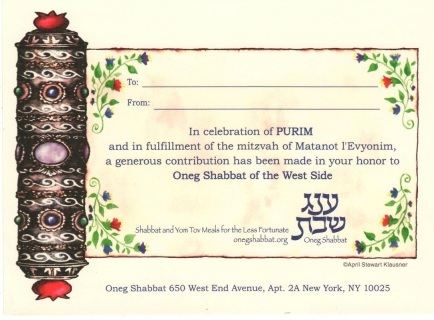 During the holiday season, ONEG SHABBAT runs extra drives and makes special packages for each Holiday. These extra drives are run in partnership with children in various neighborhood schools who create holiday care packages that are delivered to recipients. 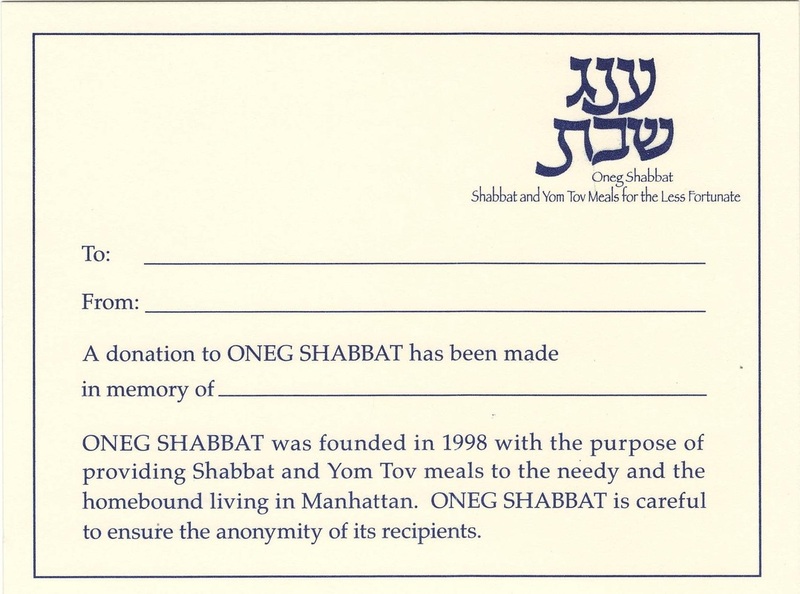 Please consider getting involved with ONEG SHABBAT through donating, volunteering, or attending ONEG SHABBAT Programming. ​We are certain that you will find it to be a rewarding experience. They are reasonably priced, and make a meaningful gesture for both you and your hosts. Please note that all funds go directly to our recipients. Thank you for your participation in this vital and important project. ​Empowering members of our UWS community to provide meals for Jewish Community members in need. Recipients can benefit immediately by applying directly or having a caregiver help them apply. 100% of OnegShabbat funds go directly to those in need.